Kotoko is another laptop persocom, like Sumomo, but she was custom-built by Yoshiyuki and has much higher specifications than Sumomo. Kotoko originally belonged to Yoshiyuki, but following Chi's kidnapping, Hideki and Shinbo force Yoshiyuki to transfer ownership of Kotoko to Hideki so that her memories of Yoshiyuki kidnapping Chi cannot be erased. 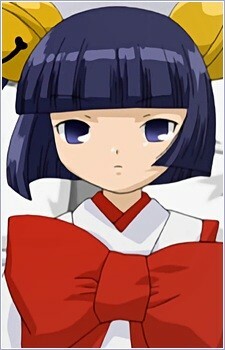 Kotoko is far more serious than Sumomo, and thinks that everyone in the Motosuwa household is crazy, especially Sumomo, although she herself occasionally exhibits a sarcastic wit. Kotoko is programmed to always tell the truth, no matter what, even when it works to Yoshiyuki's disadvantage.